Properties in Siller average 4.5 out of 5 stars. Cottage in Pollensa, 4 pax. Wifi, garden and private parking, 5 min. Beach. Property 1: Cottage in Pollensa, 4 pax. Wifi, garden and private parking, 5 min. Beach. The villa has a great garden with a long rectangular pool. Property 4: The villa has a great garden with a long rectangular pool. Conch cute apartment in Cala San Vincente! Property 8: Conch cute apartment in Cala San Vincente! Villa In The Quiet And Beautiful Beaches Of Cala San Vicente. Property 12: Villa In The Quiet And Beautiful Beaches Of Cala San Vicente. ☼ Punta - Beautiful house right in front of the sea! Property 18: ☼ Punta - Beautiful house right in front of the sea! Beautiful quiet villa with pool, large terraces and a large garden. Property 21: Beautiful quiet villa with pool, large terraces and a large garden. 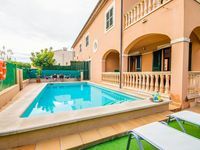 Beautiful pool, rustic BBQ area, panoramic terrace, Wifi"
Property 23: Beautiful pool, rustic BBQ area, panoramic terrace, Wifi"
Villa With Private Pool Just 800 Meter From Pollensa. Property 43: Villa With Private Pool Just 800 Meter From Pollensa. CAN GUILLO - Villa for 8 people in Pollensa. 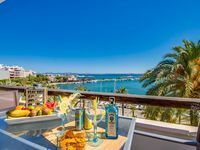 Property 45: CAN GUILLO - Villa for 8 people in Pollensa. THE SITUATION OF THE APARTMENT ON THE SEAFRONT IS IDEAL. BEAUTIFUL VIEW. FURNISHING DESIGN AND SIZ.. Very good customer support. House looked like in the pictures.